IMobie Inc is a leading apple IOS device related software company. The company was established at the end of 2011 and is currently located in China. 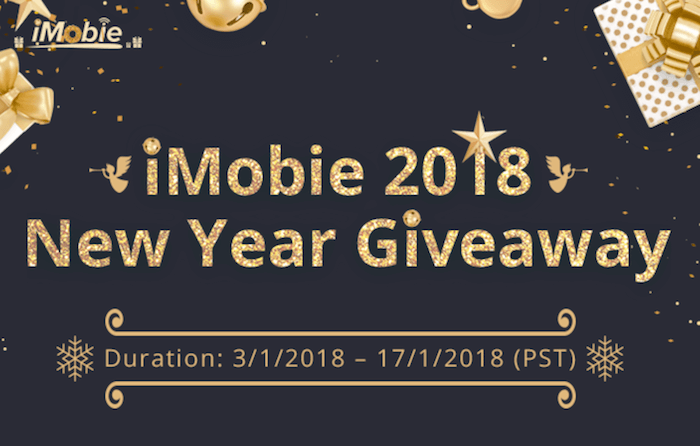 iMobie has announced a new year giveaway as part of 4th anniversary celebrations. They are giving away excellent gifts for the winners, let’s check out the special offers and some information on how to enter the giveaway. Get $39.99 AnyTrans for Android for FREE. If you are someone who enjoys a big friend circle, you will need to install this app on your smartphone or smart device. There is just no way you can rely on the Bluetooth function of your smartphone to share or exchange huge files between you and your friends. AnyTrans is smart, AnyTrans is fast, and AnyTrans is free. No need or wires, NFC, or Bluetooth, just click and share the files with all your friends instantly. The best part about this app is that it is equally compatible with all the devices. So, whether you own an Android phone, an iOS device or a Windows phone, AnyTrans will take care of all your file transfer and file sharing needs. There is no need to download and install different file transferring apps for various smartphones. With AnyTrans you can easily move files from your Android phone to an iOS phone or receive data from a Windows-based phone. This is the reason it is called as a smart file transferring and sharing app. Replicate Your Smartphone – AnyTrans can also help you replicate your contacts, music files, video files, SMS, pictures, games and other data from your old phone to the new one with the click of a button. Efficiently Manage Your Files – AnyTrans also comes with a File Manager. 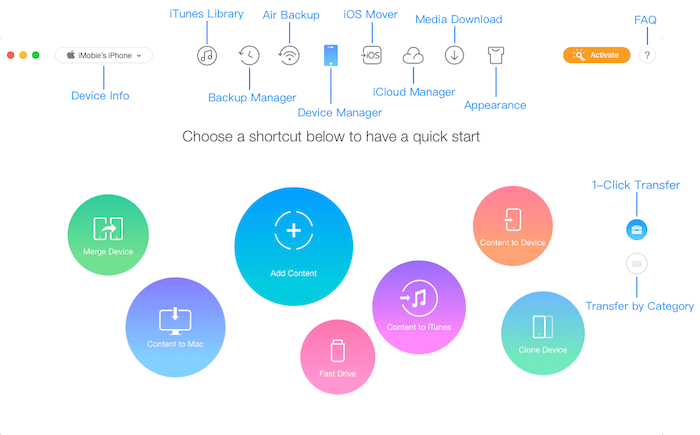 You can use this feature to view, delete or move your files. You can ever make a backup copy of the data files if you need to clean your phone storage. Lightning Fast Speed – now you can send your party pictures or videos to your friends in seconds. With AnyTrans you can transfer files at a speed of 10M/S. Cross-Platform Compatibility – AnyTrans supports file transfer or file sharing between Android, Windows, and iOS platforms. We have seen seven versions of Samsung’s Galaxy S line up and the evolution we saw was pretty amazing too, Samsung Galaxy S8 won’t be an exception. Firstly there was the tacky plastic with soft buttons but with a vivid and crisp AMOLED display of course. Galaxy Note 4 and S7 became the standard for which high res displays were measured. With more arrows in the quiver, Samsung is making bold moves and moving to a uni-body metal and removing the replaceable battery and micro SD slot was one of them, but what we saw was a fantastic phone with a beautiful metallic finish ideal for one-handed use and a display which trumps everything it’s path and a camera which can bestow everything we’ve seen on an Android smartphone or an iPhone for that matter. Samsung Galaxy S8 is going to take all of this to the next level. What to expect from the upcoming masterpiece from Samsung, read on to find out. Galaxy S6 took the FHD concept to QHD, but for Galaxy S8, Samsung will move to UHD, a massive Full HD+ resolution in a 6.2-inch package. This ensures one-handed use and the new AMOLED screen will give you more sharp and vivid colors without consuming much power. Samsung’s move will make an earthquake in the whole phone arena since the AMOLED technology has proven to one tough contender for IPS panels. You just need to go to the anniversary giveaway page and share the campaign on your social media profiles such as facebook or twitter and tag @imobie in your post. When Should You Jump in on the 3D Printing Craze?